The brand’s fifth site in the UK offers three unique nine-hole golf courses, each with its own distinct theme: Pablo, a ‘polluted paradise’, Gary, a ‘scrapyard disco’, and Bozo, a ‘dystopian fairground’. 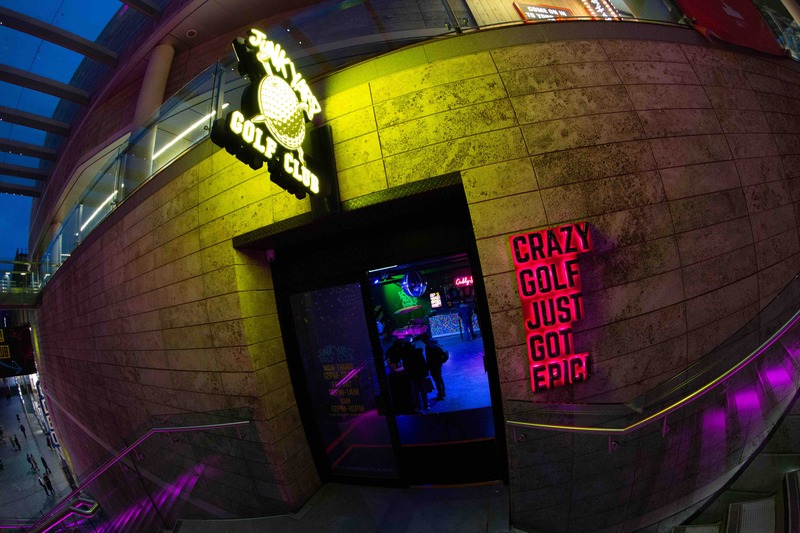 Designed by Junkyard Golf Club’s in-house team, each course is created from reclaimed and pre-loved materials, with Instagram-worthy elements such as scrapyard slides, jungle bathtubs, and a UV disco room. Positioned on Paradise Street, in the heart of Liverpool ONE’s dining and leisure zone, the new Junkyard Golf Club includes four bars serving its popular party cocktails. A main ‘bunker bar’ is the nucleus of the site, dishing out classic fairground treats, such as hotdogs and nachos. The news follows the recent announcements that Smoke and Dough, the American Italian dining concept, and Aether, the brand-new concept cocktail bar, have both selected Liverpool One for debut locations. Cushman and Wakefield and Metis acted for Liverpool One. Junkyard Golf Club was represented by OBI Property.